Computers and computer networks are an essential part of modern life around the world. More than three billion people use the Internet, and millions are constantly online by means of their cellphones and other mobile devices. 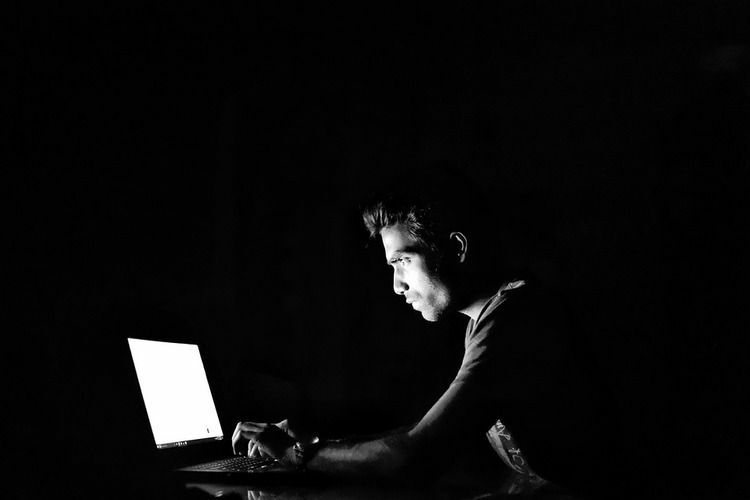 This constant exposure to the Internet means that there is an elevated risk of cybersecurity breaches that can result in anything from headaches due to lost files to lives disrupted or ruined by cyberbullying. Through crimes like identity theft, people can even use the Internet to victimize people who have rarely or never been online. Because of this, it is necessary for everyone, including those who infrequently use the Internet, to learn about cybersecurity and how to keep themselves safe from online threats. Vigilance is the first and most important thing that people need to practice to reduce the odds of becoming victims of cybersecurity breaches. It requires an awareness that threats exist and a mindset that prioritizes safety when considering any course of action online. People must understand what behavior is beneficial or hazardous to their safety on the Internet and develop habits based on this knowledge. Defending against cyber-criminals also requires an understanding of where and how threats can happen. Attacks can come from many sources, including but not limited to cyberbullies, identity thieves, and hackers. These cyber-attacks manifest primarily in the form of attacks on computer and network security, malware, and social engineering. They can strike any device that is connected to the Internet, from desktop machines to cellphones. Common attacks include computer viruses, worms, Trojan horses, phishing, scams, and more. Computer viruses are hostile programs that execute on a computer and can delete files, record keystrokes such as passwords and Social Security numbers, or even lock a user’s files, requiring payment for restoration of access. Worms are programs that scan the Internet for computers with insufficient security, break in on their own, and install viruses. Trojan horses are programs that look useful but install a virus when they are run. Phishing is a form of social engineering that tricks users into divulging personal or financial information to thieves. Scams are fraudulent deals that are offered on the Internet. Using social media is an effective way to meet future employers or keep in touch with friends and family, but these sites are also a hunting ground for nefarious individuals who seek information on potential targets. In the hands of someone with ill intent, this information can be useful for cyberbullying or even criminal behavior such as identity theft, social engineering, or using the information to burglarize a victim’s home. The most important thing users need to know about social media is to share as little personal information as possible. This means not sharing when a person is away from home or giving out phone numbers, addresses, or clues as to where one lives. Talking about potentially embarrassing activities can also leave a person open to acts of extortion and should also be avoided. When possible, become familiar with and modify social media privacy settings to lock down accounts so that people who are not friends cannot see what’s on the account. Share as little information online with friends, and especially the world at large, as possible, and never give away passwords to anyone. Online bullying is a serious problem that can lead to significant mental trauma for the victim and has resulted in suicides. While it is not always possible to stop cyberbullying from happening, it is possible to take steps to mitigate the problem. People who are targets of online harassment should avoid responding to bullies except to tell them to cease and desist, and if possible, they should block the bullies from viewing or communicating with them. It is also wise to preserve all evidence and forward it to the administrators of the social media site, who can close the offender’s account. Cyberbullying can escalate to stalking and threats, at which time it will be immediately necessary to involve law enforcement. Hackers can find almost any computing device online and attempt to break into it. Malware can lurk inside any program that one downloads or copies from another computer. A good rule of thumb is to understand that every computer that interacts with another computer is also interacting with every other machine that it has connected to, any one of which could be carrying a virus. Because of this, users should first and foremost install antivirus protection and a software firewall and keep them up to date with the latest patches and malware definitions. This will block the majority of break-in attempts while also greatly reducing the computer’s risk of a malware infection. Users should also never open emails from sources they don’t trust and should avoid opening email attachments. When possible, only view emails in text mode rather than in HTML. Never click links to unknown websites, and avoid downloading pirated software, which is known to carry viruses. Plugging in external storage media such as USB memory sticks or SD cards from untrusted sources may also spread an infection and should be avoided. Computers and mobile devices should be set to not automatically open or run programs from external storage media. Users must also use strong passwords that are at least eight characters long and have a combination of upper- and lowercase letters, numbers, and punctuation. Protecting one’s privacy is essential to cybersecurity. Cybercriminals place significant value on acquiring personal information from victims to use in committing financial fraud or identity theft. Safeguarding one’s information requires diligence both online and offline. Shredding receipts and paperwork with personal information is only the first step. One should also opt out of credit card and insurance policy offers and destroy prescription bottle labels. Never divulge Social Security numbers or other personal information to friends or businesses. Request a hold on all mail when going on vacation, and get new checks at the bank rather than having them mailed to the home. When getting rid of a computer or mobile device, delete all information by overwriting it, and remove all storage media as well as the hard drive or SIM card. Delete all contacts, phone call records, voicemails, emails, browsing histories and caches, and photographs. When shopping online or logging into online accounts, always look for the lock icon to indicate that the connection is secure. Also avoid conducting financial business or sending personal information over wireless networks if at all possible, and when it is necessary, only use strong passwords and only connect to Wi-Fi hotspots with WPA2 encryption.